"The 10 percent claim is demonstrably false on a number of levels. First, the entire brain is active all the time. 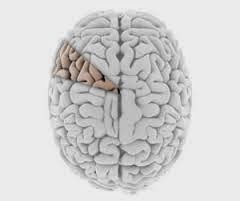 The brain is an organ… In fact, the entire premise of only ‘using’ a certain proportion of your brain is misguided. When your brain works on a problem — turning light that hits your retina into an image, or preparing to reach for a pint of beer, or solving an algebra problem — its effectiveness is as much a question of ‘where’ and ‘when’ as it is of ‘how much’... Still, the appeal of the myth is clear. If we only use 10 percent of our brains, imagine how totally great life would be if we could use more… And that’s why the 10 percent myth, compared with other fantasies, is especially pernicious. It has a distinct air of scientific plausibility — it’s a zippy one-liner with a nice round number, a virus with obvious vectors in pop-psychology books, easy to repeat at cocktail parties." The rest of McDougle's article can be read here. A Wikipedia article also offers further information refuting this myth, and how it perpetuated in modern culture, here.